The Wireless Group will be extending the coverage area of its three new digital radio stations - talkSPORT2, talkRADIO and Virgin Radio in Scotland. The radio operator, formerly known as UTV Media, has applied to Ofcom to allow it to broadcast the three stations on the Aberdeen local DAB multiplex, operated by offshoot company Switchdigital. In other areas, the services will launch later this month on the new Sound Digital DAB multiplex, which is broadcasting a total of 18 stations across various regions of the UK. However, Sound Digital's signal fizzles out north-east of Angus and isn't available in northern Scotland. Inclusion on the Aberdeen multiplex will provide reception from the Laurencekirk area north-eastwards into Aberdeen, Peterhead and Fraserburgh, and provides almost continuous reception up the A90 from Dundee out of the Sound Digital coverage area and into the Aberdeen local DAB zone. Sound Digital's Scottish coverage area runs from Ayr in the west, through the central belt to Edinburgh and Angus in the east. The Wireless Group already offers the Scottish version of TalkSPORT on the Aberdeen multiplex. Other Sound Digital stations, including Absolute 80s and Planet Rock will not be available in the Aberdeen area on DAB digital radio. Listeners can check station availability on the official DAB coverage checker at http://www.getdigitalradio.com/whats-on-dab/at-your-address/ and read information about retuning DAB radios at http://www.getdigitalradio.com/dab-news/retune. 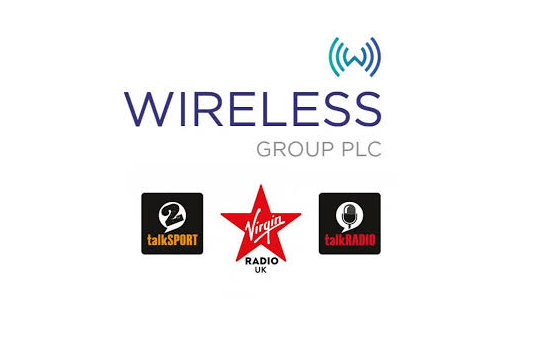 The Wireless Group is the second organisation to use a local DAB multiplex to enhance coverage. Fun Kids launched on the Herefordshire and Worcestershire local DAB multiplex earlier this week, which includes a number of areas outside of the range of Sound Digital's transmitters. It is broadcast as a regular DAB service, as opposed to the version on Sound Digital, which requires a DAB+ radio.